Calling all poets, slam-poets and passionate people! Spoken Word Night happens the last Tuesday of every month! Winters is known for our creative passions and strong emotions, and what better way to celebrate that than with an entire night each month dedicated to passionate verbal expression? Join us in the EWAG (Eleanor Winters Art Gallery) and listen to people share what's been tugging at their souls lately, and maybe even share something of your own if you feel brave enough! We also have an anonymous box for anyone who prefers that someone else to share their work, whatever you’re comfortable with! 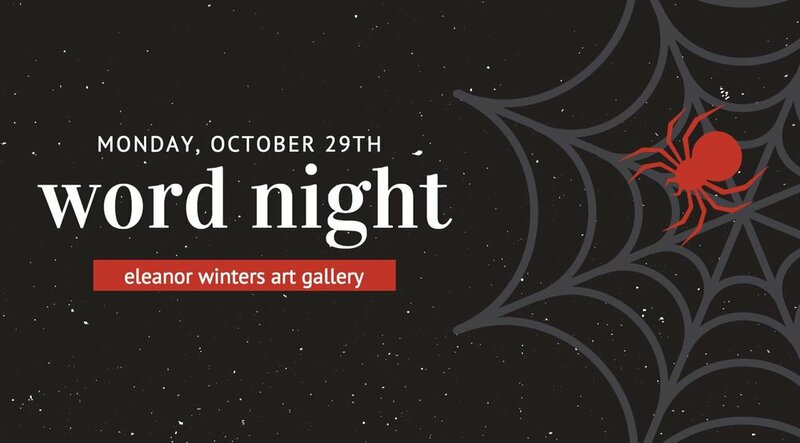 come one come all to the spookiest word night yet!! the prompt is S H I V E R S and we invite you to write and explore what that means to you! as always the prompt is a suggestion not a rule so come and say/perform/sing whatever you would like and as always the magic box of poetic realness will be there for anonymous submissions and mine or Ori’s phone will be open to poetic texts.